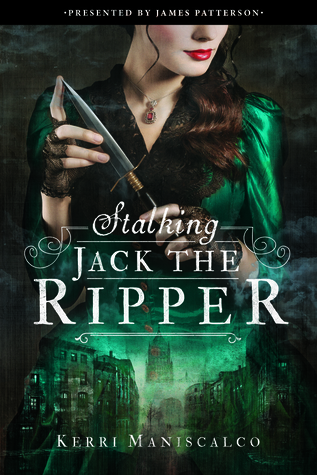 So excited that the #StalkingJackTheRipper read along has started as of yesterday (October 17th)! Thank you to Sabrina (blogger over at Beyond the Book Reviews), and Ava (blogger over at Bookishness and Tea) for organizing this! You are seriously rockstars. As I mentioned above, the read along started on October 17th and will end on the 28th, but anyone can join in at any time. Have you read SJTR? You’re more than welcome to chat with other readers and participate in the excitement. Speaking of excitement, I was SO excited I created exclusive bonus content and chapter thoughts that bloggers will be revealing on their sites and on twitter throughout the event. Use #SJTRreadalong to join in the fun! Want more information on the goodreads discussion group? Check out this google doc that also contains fun swag for those who participate. awww, heck. you guys have been SO FANTASTIC, i think i might add some extra swag. for those who participate in the read along, as outlined below in how to qualify, i will add your names to a drawing for character cards. one lucky winner will receive a character card from Phantom Rin’s shop. “To celebrate the end of the read along Sabrina (@Splintered_Luv) will be hosting a twitter chat to not only to discuss some non spoiler questions we may have for the author about the book, but also just to chat amongst the fans of SJTR. ***Also the last information that is a need to know is the special swag to go along with this Read along! Kerri has been very generous and is opening up the opportunity to those who review the books to receive a signed personalized bookplate. To qualify for one of these bookplates, you would have to have participated in the read along in some way; be it by tweeting about it, commenting on one of the discussion threads, or simply joining us for the twitter chat on the 29th. The second thing that qualifies you, more so then just simply participating in the the read along is to post a review within a month after the read along concludes. SO by November 28th, have a review up on Goodreads or Amazon/Barnes and Noble or on your blog and you get the opportunity to receive a personalized bookplate. Exclusive cover reveal + first chapter up on Entertainment Weekly! I’m so excited to announce that STALKING JACK THE RIPPER’S cover has been exclusively revealed on Entertainment Weekly today! That’s right…Entertainment Weekly. I’m still blown away by both that AND the gorgeous cover the art director came up with. I’ll be posting behind the scenes pictures from the photoshoot next week, but today is ALL about the beautiful final cover art. If you need me, I’ll be dancing around the house all day.